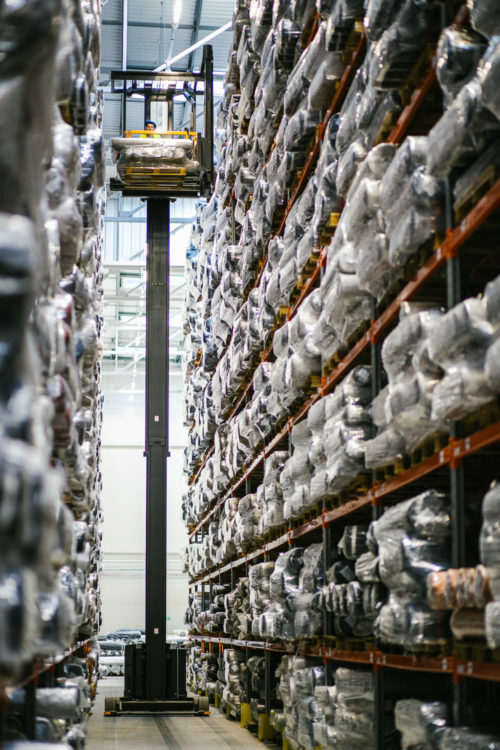 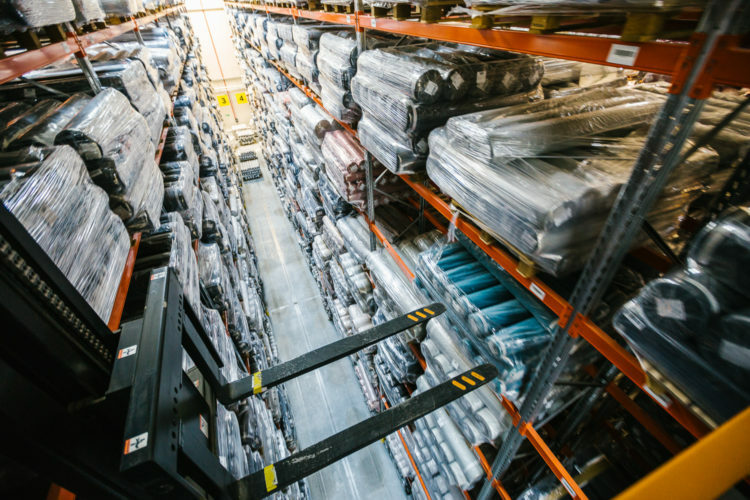 News » NEW WAREHOUSE CAPACITY – we have enlarged! 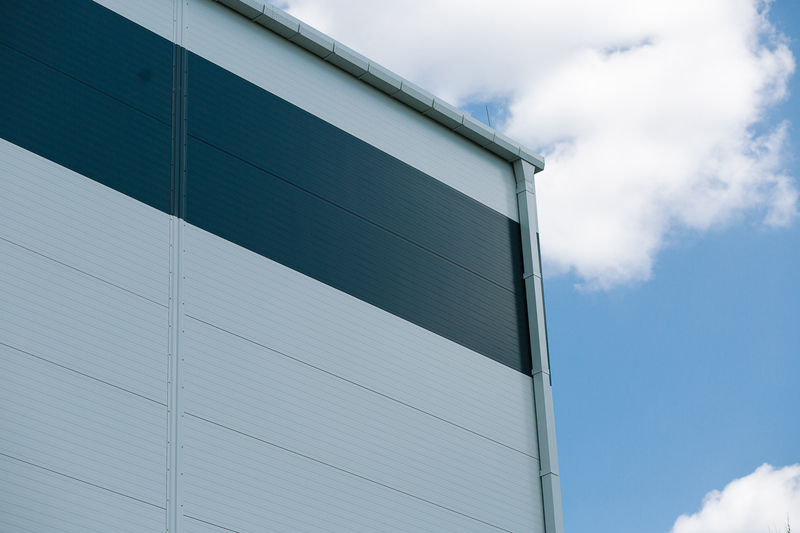 NEW WAREHOUSE CAPACITY – we have enlarged! 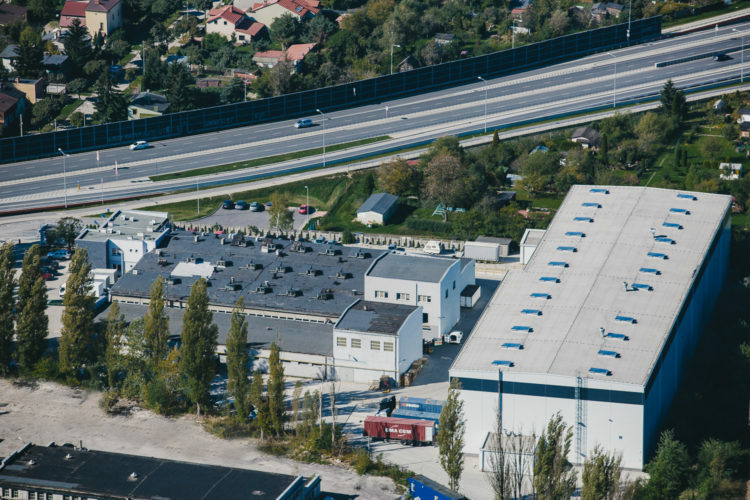 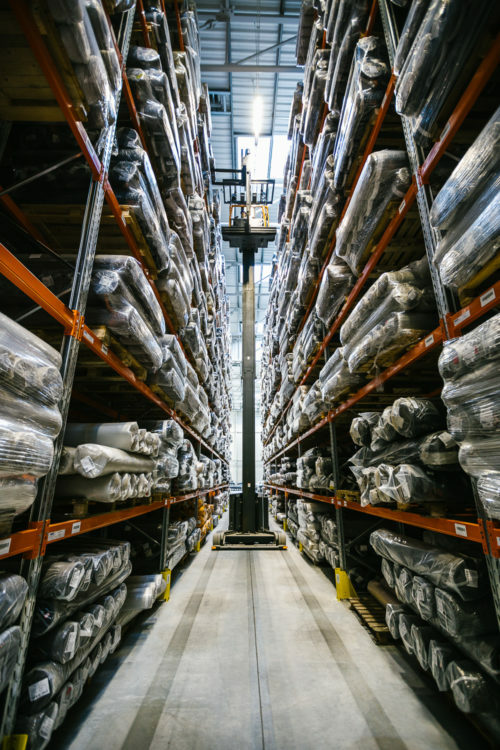 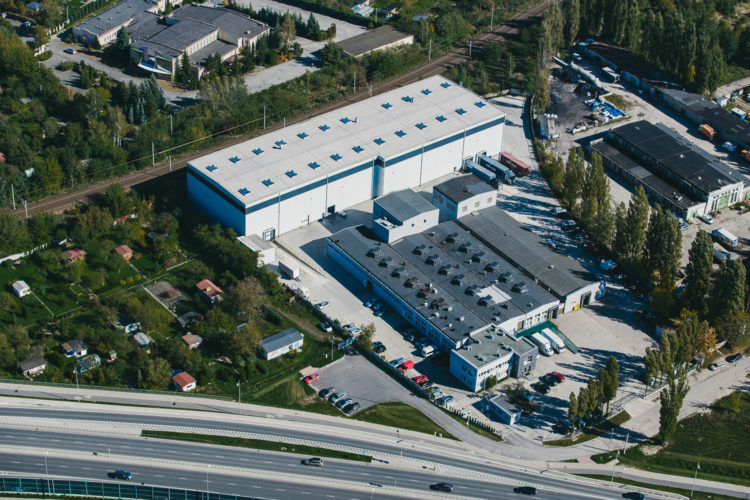 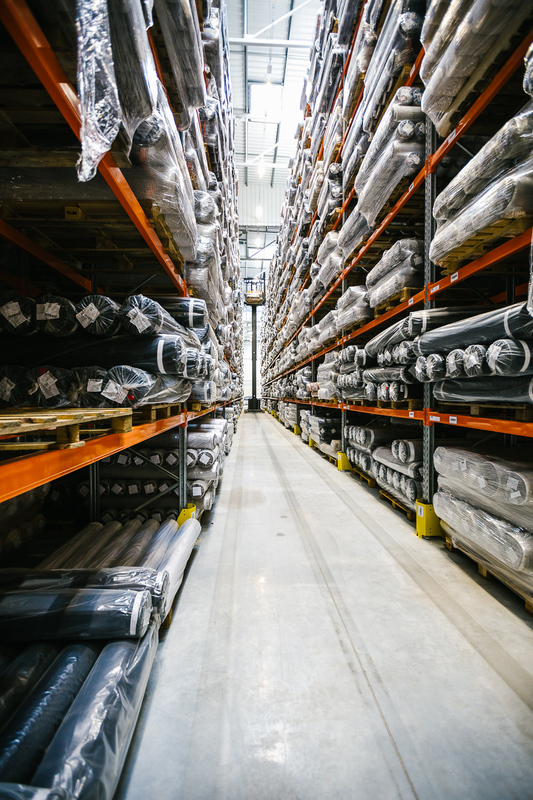 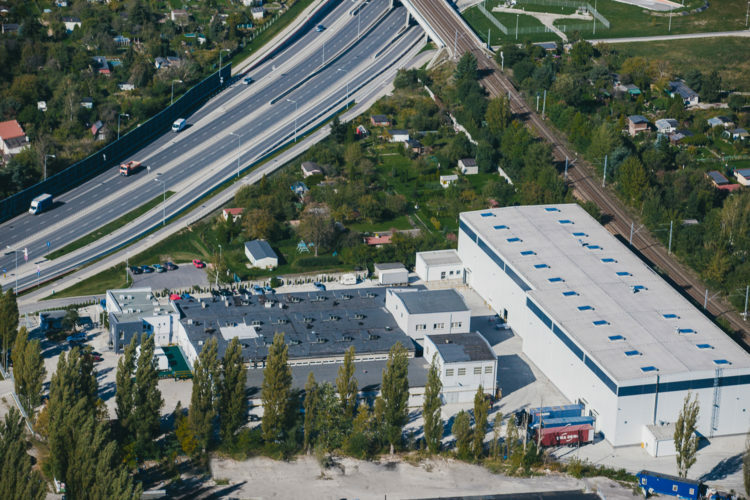 In January 2017, we extended our warehouse area, the new space covers over 3 300 m2 and is 16 m high – we now have as much as 52 800 m3 capacity in total to store rolls of fabric. 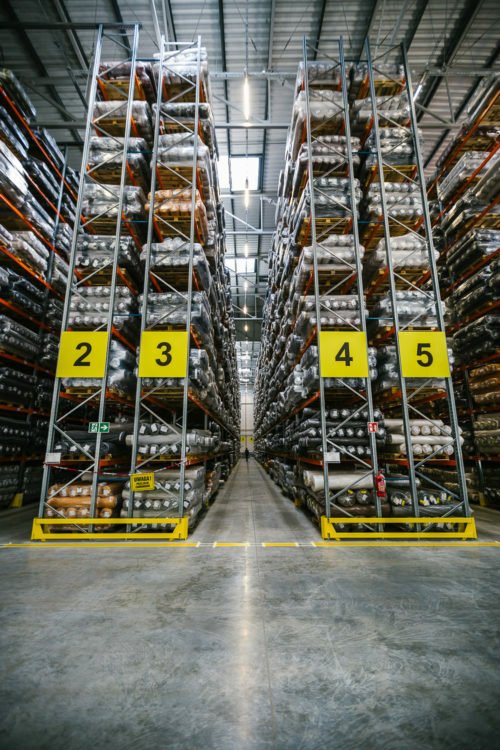 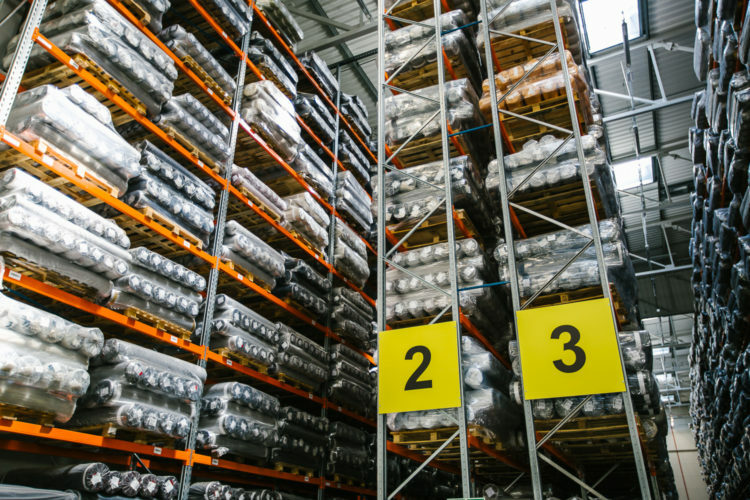 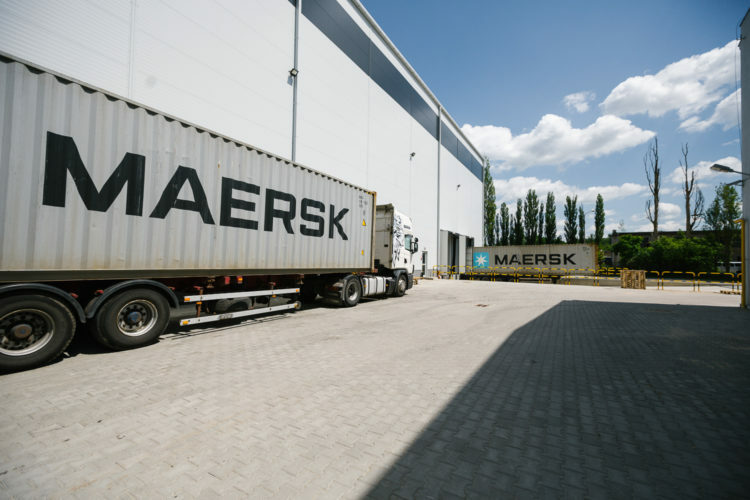 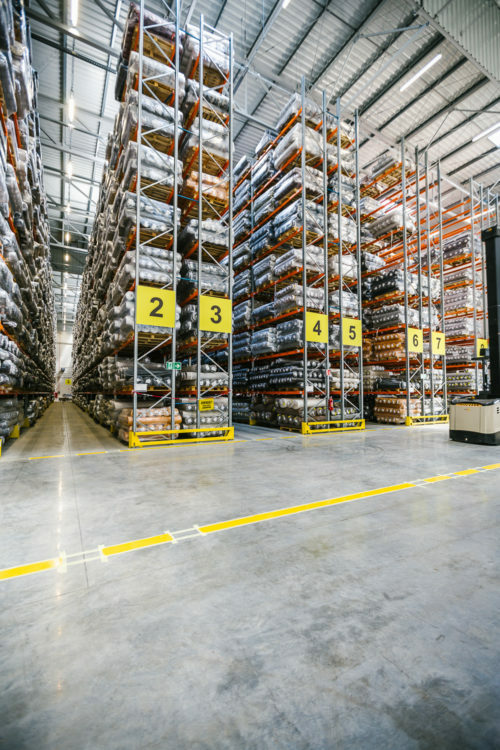 As well, we have introduced a new innovative storage computer aided system that provides accurate record keeping and gives an efficient use of the warehouse space. 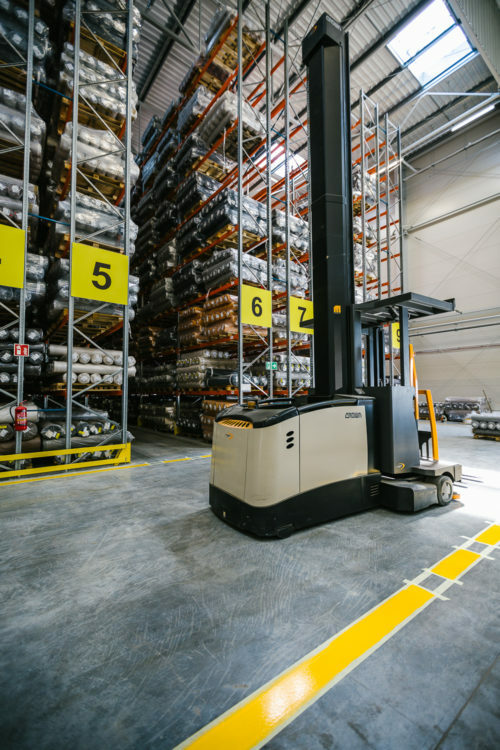 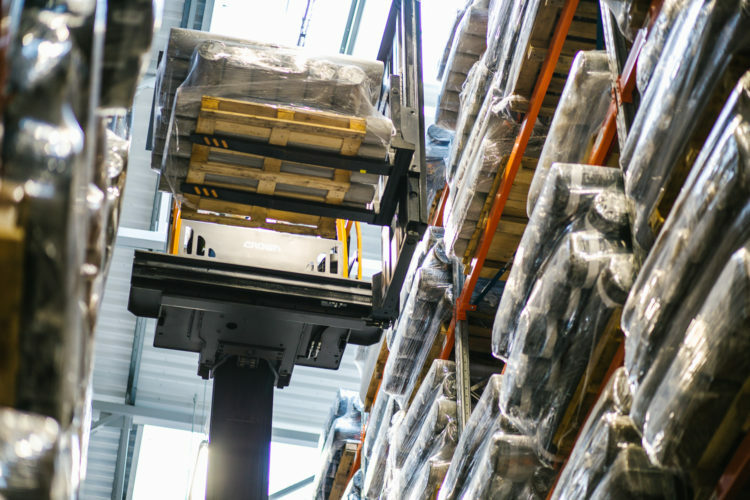 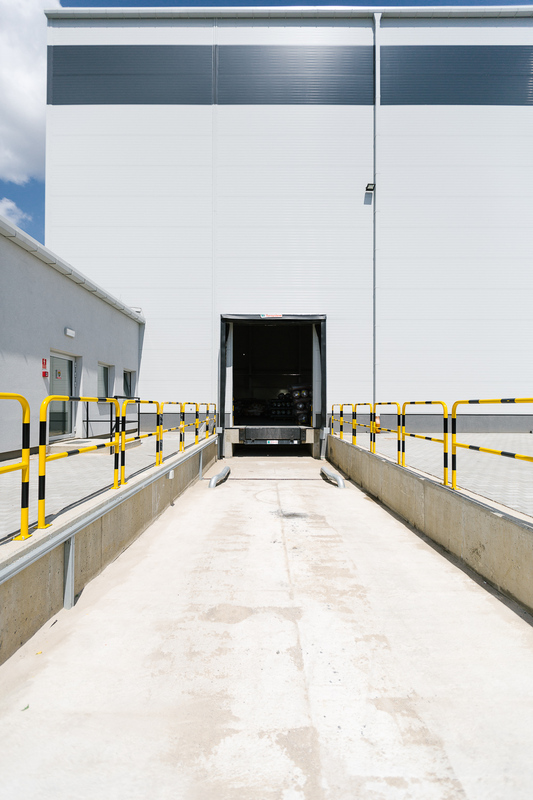 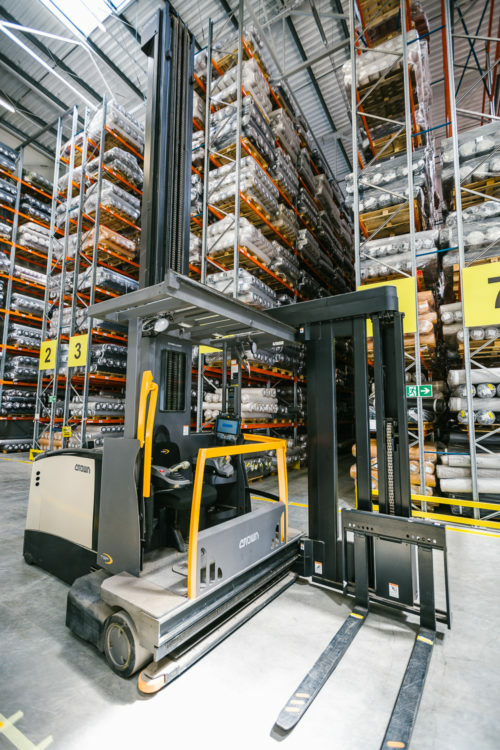 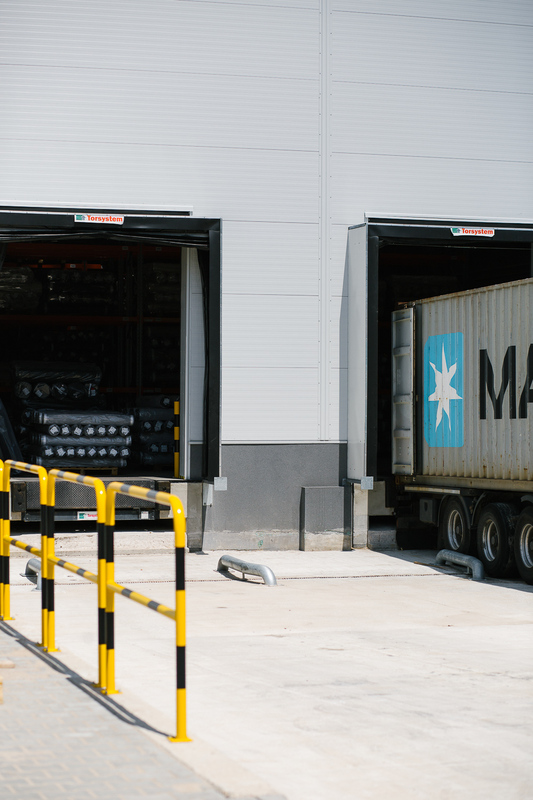 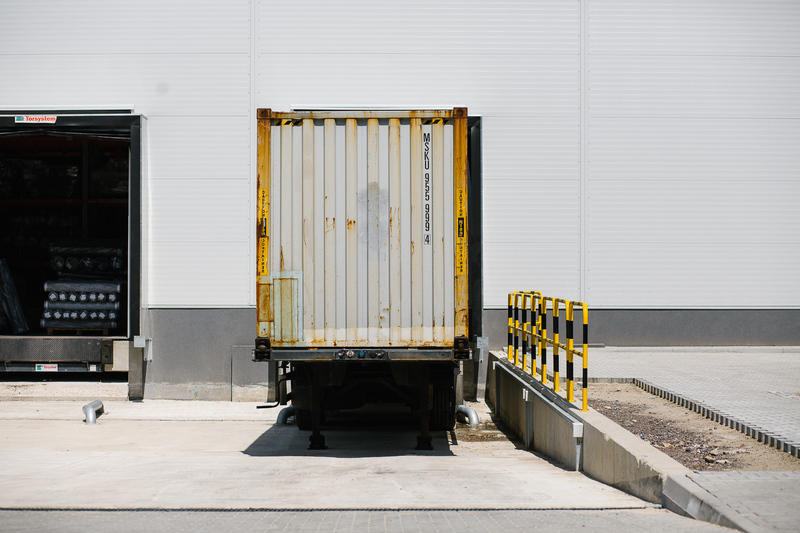 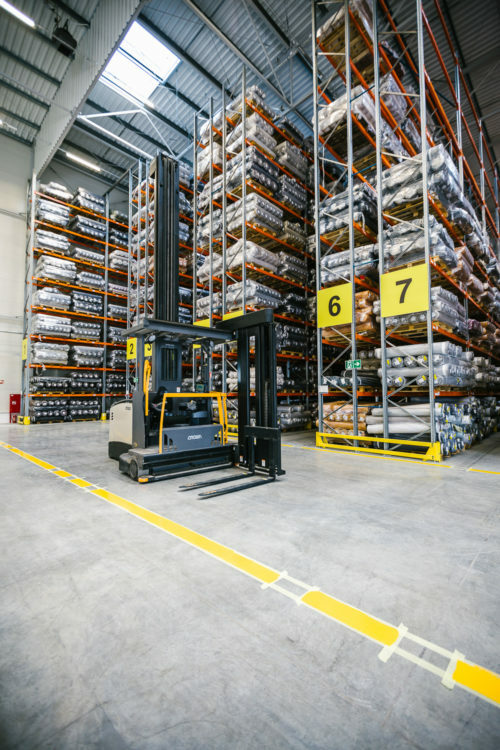 The use of a narrow-channelled fork lift (with reach up to 16 m + moving around a magnetic loop equipped with a rising operator cabin) allows every centimetre in the new warehouse space to be used efficiently. 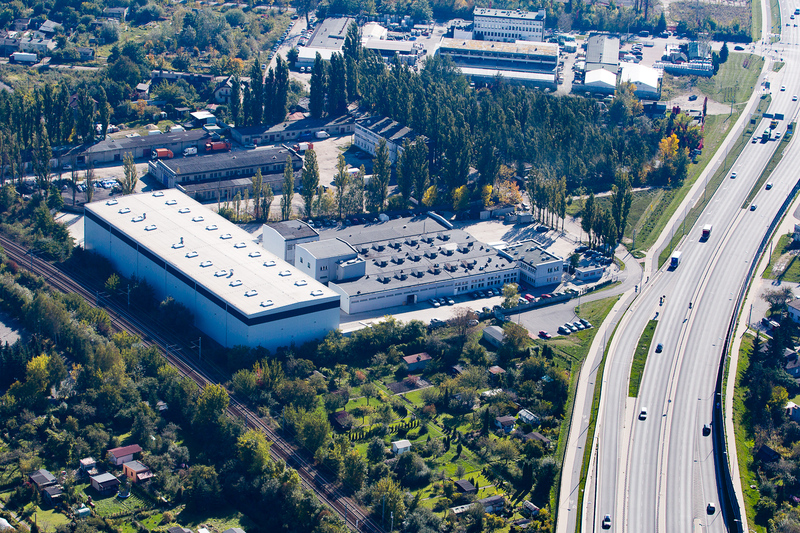 In this way the new space will accommodate 4 million running meters.